The model most likely will be based on the 740-hp V-12 F12 Berlinetta two-seat coupe but will feature a specific body and interior. 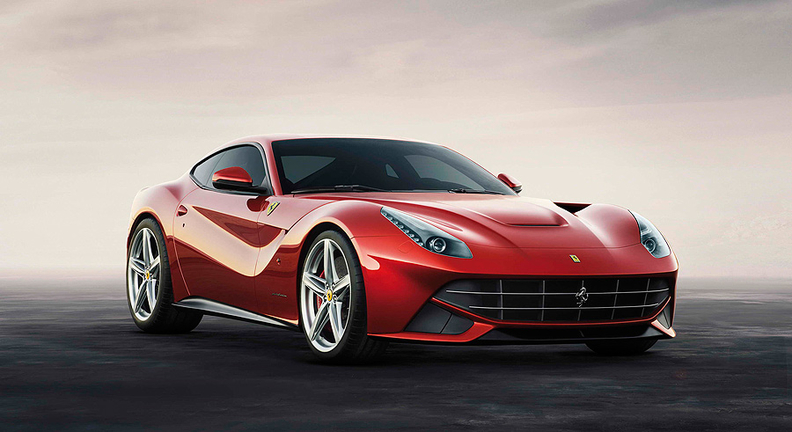 TURIN, Italy -- Ferrari Chairman Luca Cordero di Montezemolo’s last public act at the helm of the Italian supercar maker will be the unveiling of a limited-edition model destined for the U.S. market only. Montezemolo said Ferrari will build 10 units of this special model, priced at about 2.5 million euros (about $3.2 million) and already sold out. He added that the model would be for the U.S. only, being painted in blue with white stripes, the colors used by the North American Racing Team that raced Ferrari cars from the 1960s to the 1980s. The model is set to debut in Los Angeles on Oct. 12 during a gala dinner to celebrate 60 years of Ferrari operations in the U.S. The day after, Montezemolo will step down as Ferrari chairman, being replaced by Fiat Chrysler Automobiles CEO Sergio Marchionne. Ferrari declined to comment further than confirming the new model information given by Montezemolo in a news conference held at Ferrari headquarters in Maranello, Italy, on Wednesday to announce his resignation after 23 years at the helm of the company. NART was created by former race driver Luigi Chinetti to promote the Ferrari brand in the U.S. through competing in endurance races. Italian-born Chinetti moved to the U.S. during World War II. After quitting racing as a driver, he became an agent and then Ferrari’s first U.S. dealer. NART began operations in 1958 and raced Ferraris until 1982, entering more than 200 races with over 100 different drivers. In the U.S., perhaps the most famous of these drivers are Mario Andretti and Phil Hill.